Reliance Jio free SIM cards: The new network of Reliance Jio is now available to all 4G smartphone users as Free. The company will provide the SIM card without any cost and also with free data for three months. 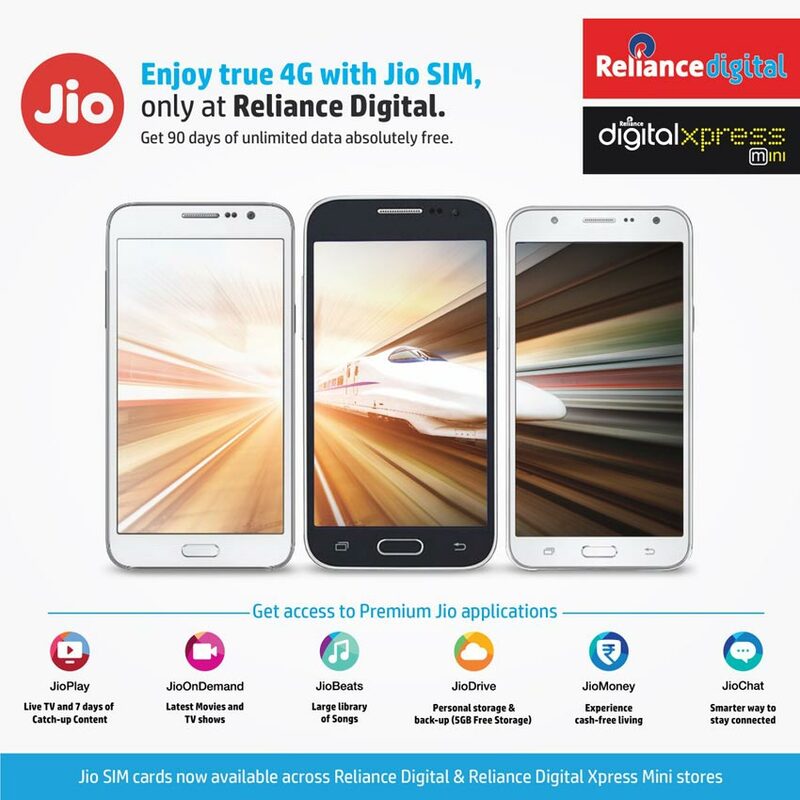 The users can buy this new Free Reliance Jio at nearest stores of Reliance Digital and Xpress Mini. The Reliance Jio had a test with their employees after the launch in December 2015. The Network offers Free Wi-Fi service on Six stadia for the T20 Worldcup 2016. After that, the company launches their product commercially in April 2016. The Reliance Jio SIM card has given to the customers those who all bought LYF phones. Currently, as per the report on the Official Twitter account of Reliance Digital; The company will offer the Free Reliance Jio SIM card as Free. Moreover, the users can access the 4G Internet services as free for first three months (90 days). As of now, the company didn’t announce the official statement about this new offer and compatible devices. Stay tuned for More updates.